Foil packs have become very popular lately and you can find lots of recipes online. They are convenient, easy to make and can even be prepared ahead of time, frozen, and packed in the cooler until you’re ready to cook them. There are so many meals you can try, we thought we’d talk about a few favorites. The first foil pack recipe we will talk about today is pot roast and vegetables. This is a highly versatile recipe due to the fact you can put any vegetable of your choice inside. The most common vegetables we see in a pot roast recipe are potatoes, carrots, and celery. You can choose to add so much more than just these though. For example, you may choose to add asparagus, cauliflower, broccoli, or any other green vegetable. Another great example of a foil pack recipe is chicken on the go. This is a relatively simple chicken dish that is highly customizable as well. The most common ingredients we see in this recipe are potatoes, carrots, rice, broccoli, and celery. Chicken is a great meat to steam with vegetables and when it is cooked this way it becomes very tender and delicious. The next foil pack recipe we will mention is a vegetarian meal with a high amount of protein. This is another customizable dish with a protein substitute of tofu. By adding 1/3 part tofu this becomes a protein packed and delicious vegetarian meal. In conclusion, foil pack recipes are a great way to keep your meal both simple and delicious while feeding a good amount of people. 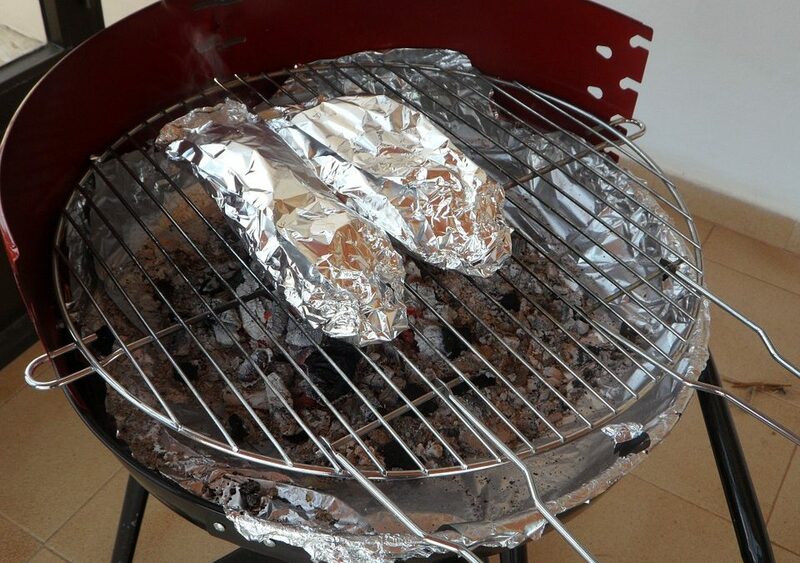 You can find some new foil pack recipes to try at: 30 Surprising Things You Can Make Over A Campfire. There you will find recipes for quesadillas, cinnamon apples and lots of other wonders you can make by just wrapping them in foil and dropping them on the grill or into the campfire coals.